Mothers Day card - flowers with a bit of sparkle! 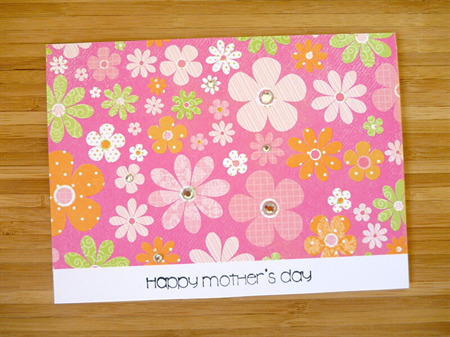 Beautiful flower print paper with sparkly rhinestones featured on some of the flowers for a bit of bling! Card measures approx. 14cm x 10cm and comes with envelope and sealed in cello bag! All hand cut and created!